Meet the staff at Northern Edge Algonquin! 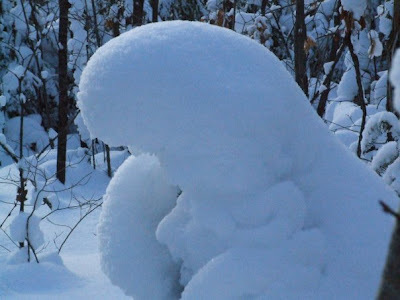 I noticed this snow woman as I was cross-country skiing on a trail near Algonquin Park on Saturday December 8th. I snapped this photo. What do you think? Please check out this mini documentary video on the band Torngat. I shot the video on Saturday December 8th in South River, Ontario. Baby Clothes And Baby Shoes – Shop online for Sport Shoes in Baby Toddler, Clothing Shoes, gifts. Buy Cheap Shoes Online – is an online retailer of soft sole leather baby shoes. I had a great time cross-country skiing with my folks yesterday! This is my new multimedia blog that I will be using to post my audio, video and photography! There will also be a link on my official website at smalltalkmedia.com! It is a beautiful day today. Here is a view of my lake near Algonquin Park in Ontario. It’s December 8th and the morning sun is shining through the clouds.